Automation of repetitive tasks enables engineering teams to focus more on value-added work and reduce engineering lead time. 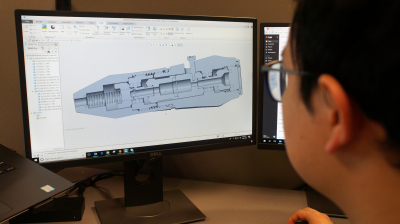 Utilizing the latest technology for computer-aided design & manufacturing (CAD & CAM), our team can deliver bespoke & off-the-shelf applications to optimize engineering works, driving productivity and maximizing value. Rapid automated report generation of multiple MBD files, capturing all of the details, notes, dimensions, and views. ... and bespoke automation to suit your needs!